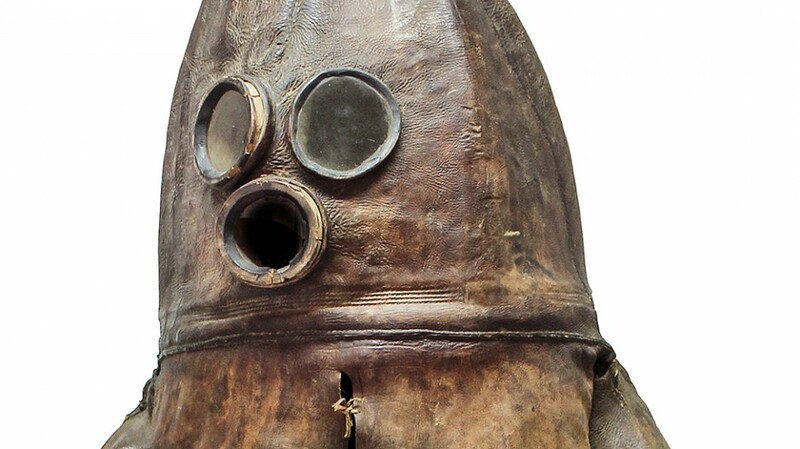 THE 'OLD GENTLEMAN' OF RAAHE -the oldest surviving diving suit in the world. The best-known item in Raahe Museum is "the Old Gentleman", a diving suit from the early 18th century. 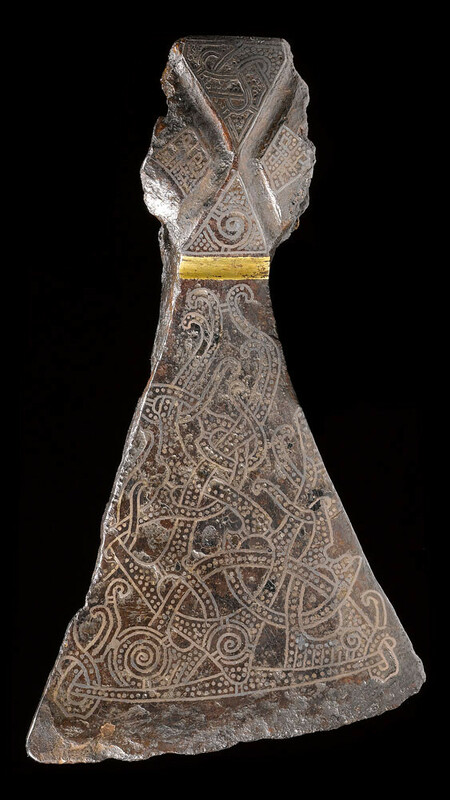 This rarity was donated to the museum by Captain Leufstadius in 1860s. The maker of the suit has mastered the latest achievements of the diving technology that made huge progress in the 18th century. The Old Gentleman is therefore regarded as a unique crossover form made from leather in the transition from the diving bell to the actual heavy diving suit. The Old Gentleman is mostly made of cow leather. The seams are sewn with a waxed thread and sealed with pitch. The diving suit was made waterproof by sealing it with a mixture of pork fat, tar and pitch. 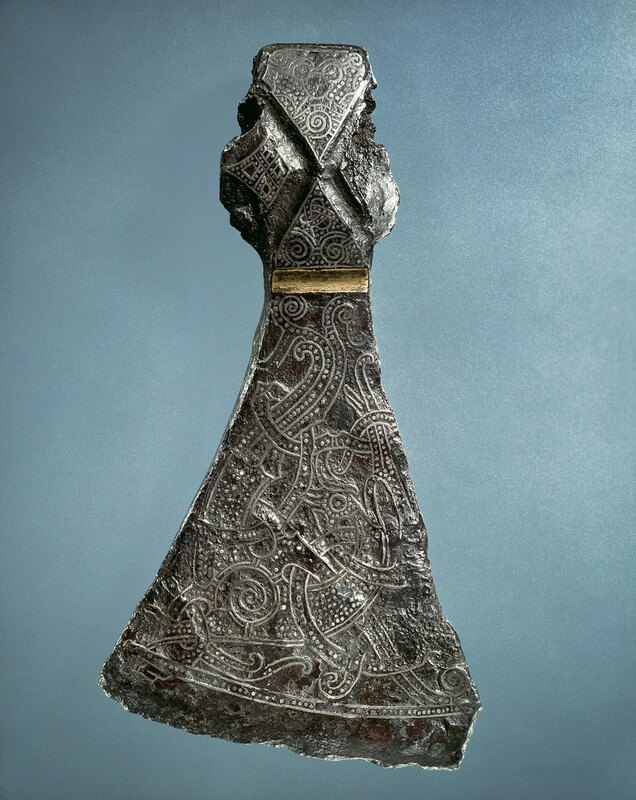 The hood-shaped head is reinforced from the inside with a wooden framework. In the upper part of the hood is an opening for a wooden air pipe. The diver wriggled himself into the diving suit through an opening in front of the body, which is closed by pressing the pitched mouth part together. This "sack mouth" was rolled on the belt and was attached to the diver's waist. 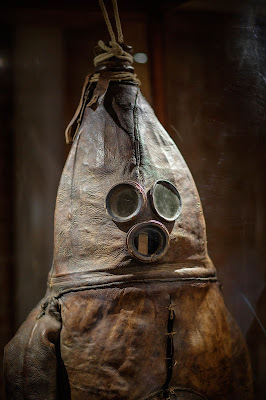 The air was pumped to the diver through wooden pipes that were mutually connected with leather, either using a piston pump or bellows. The air was discharged through a shorter pipe on the backside. Diving lasted for a short time, since the suit was not completely watertight and could not withstand high pressure. However, the diving suit did offer its user the opportunity of checking the condition of hulls without having to tilt the vessels or to bring them into dry dock. The diving suit is presumably of Finnish origin, since the top parts of the boots remind one of the traditional short-shanked boots with laces, while the gloves are similar to those typical of Finnish foresters. A drawing from 1727, discovered in the Admiralty’s material held in the Swedish National Archive, depicts a diving suit that is similar to the Old Gentleman. This drawing has helped to date the time at which the Old Gentleman was manufactured. The Old Gentleman visited exhibitions around the world, the last time being at the 1998 World Exposition in Lisbon. 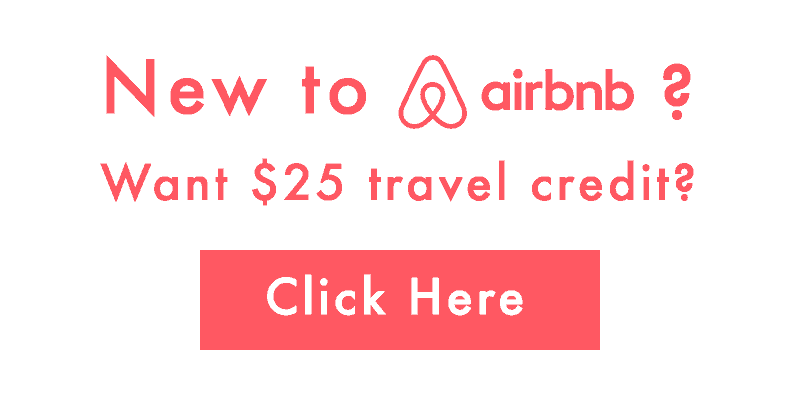 Its longest trip was to Philadelphia, in the United States. 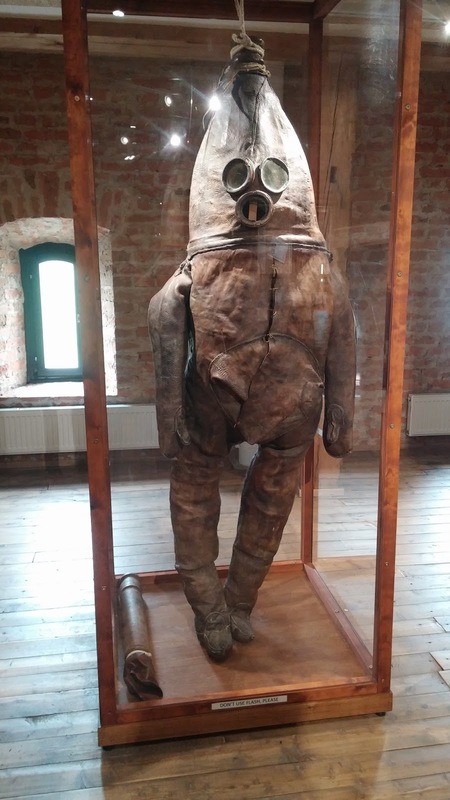 In connection with the Sea Finland exhibition that was held in London in 1985, the diving suit was playfully nicknamed the venerable Old Gentleman of Raahe, a name by which this gem of the people of Raahe is still known around the world. 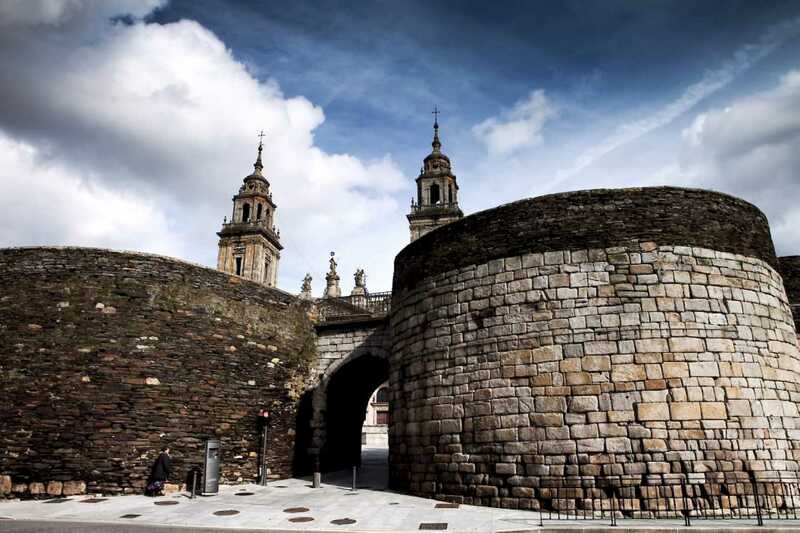 Remarkably intact Roman stone fortifications encircled this Spanish city for centuries. 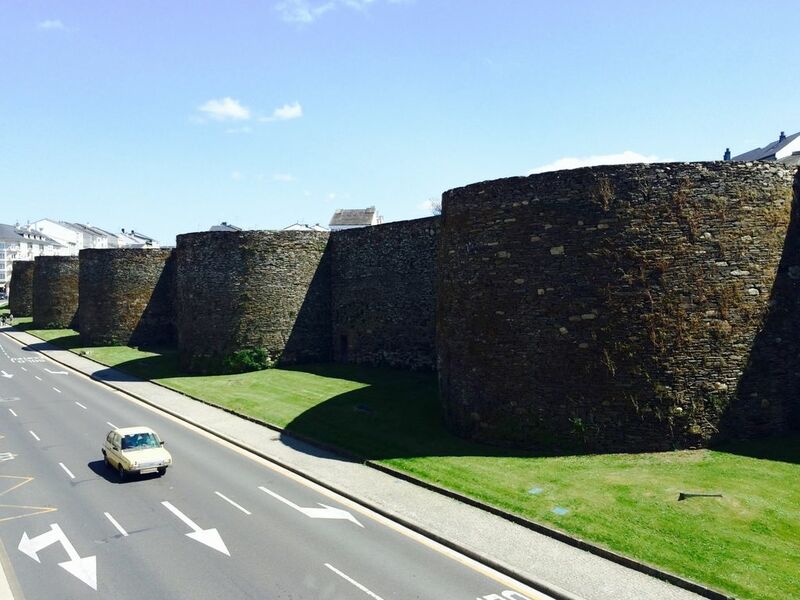 Built sometime around the 3rd century, the ring of towers and walls which now surround the city of Lugo were originally constructed to protect a Roman city from barbarians, and they continue to contain the world’s only city that is completely surrounded by ancient Roman walls. 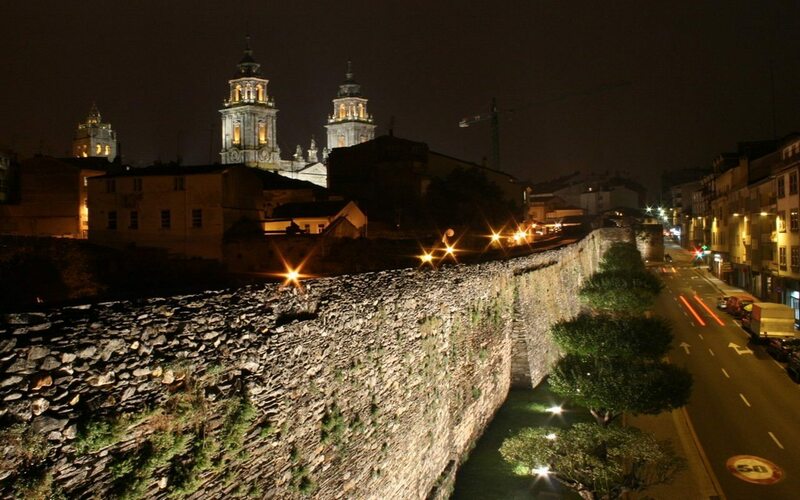 Making a bulbous circuit around the border of the town, the ancient walls stand almost 40 feet tall at their highest point, with curved lookout towers bulging out of the wall at irregular intervals. 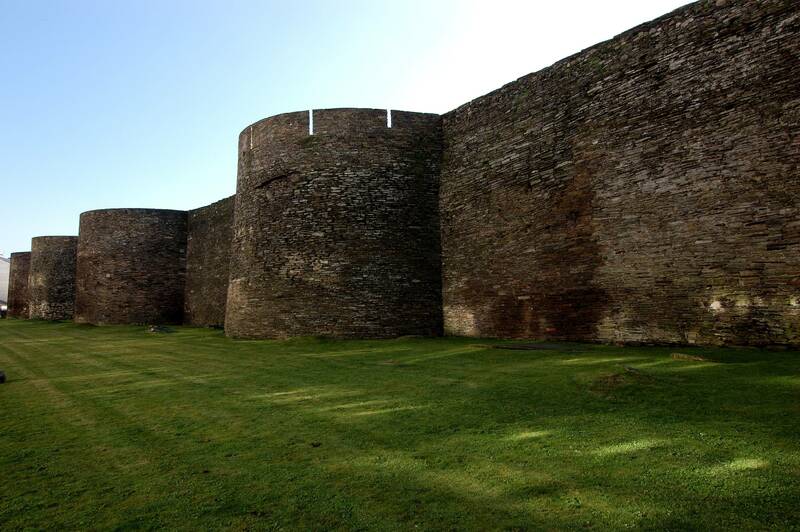 The top of the wall stays a consistent 14 or so feet in width which can still be walked in a complete circuit. 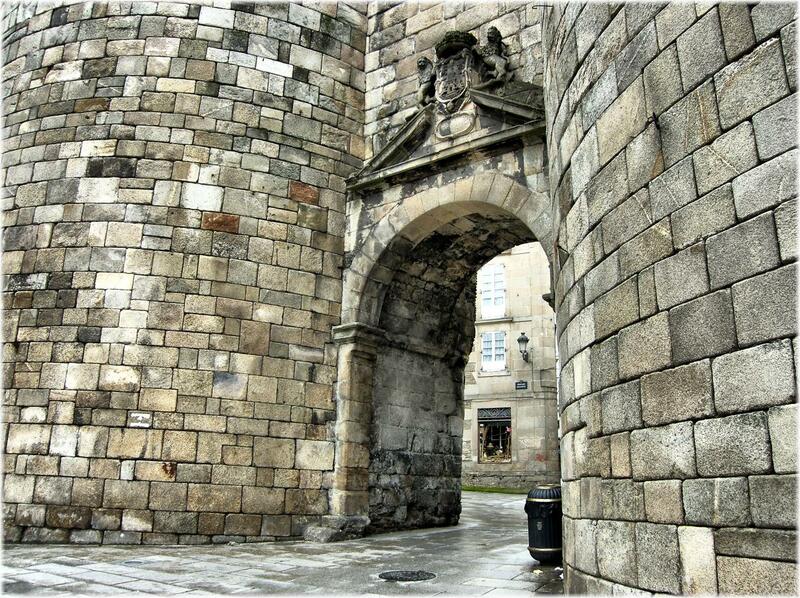 Ten gates were built into the wall, and of them, five are still the Roman originals.